Description: A bow is a weapon that projects arrows and that is used for hunting and for sport (target shooting), although historically it was also a weapon of war. The technique of using a bow is called archery. Bow stabilizers are an archery accessory that are used to produce a better balance of weight on the bow, and reduce vibration and shock during and after arrow shots, making the arrow flight smooth and steady. 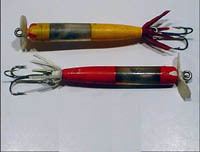 Mercury-filled rods were introduced as stabilizers in bows in the late 1960s. These liquid stabilizers were later replaced by the manufacturers with foam and sand stabilization rods and modern bows use lightweight aluminum or carbon rods for stabilization. Purpose of the Mercury: The mercury was added to the bow stabilizer because it was thought that the weight of this liquid metal would better reduce the vibration on the bow that occurs after shooting the arrow. Potential Hazards: The bow stabilizers usually consist of a self-contained mercury-filled chamber encased in aluminum housing - there is a low probability that there would be a mercury release during regular use. Recycling/Disposal: Many states offer household hazardous waste collection programs for recycling and disposal of mercury-containing items, including sporting equipment. Some states and municipalities provide this service free of charge, while others require a small fee. Persons should first check with their local municipality to find out about the specific recycling and disposal options (including which products are accepted). The mercury-containing archery bow stabilizers that are collected are sent to a mercury recycler for reclamation. Statutes and Other Information: The NeutralizerTM bow stabilizer models, manufactured by Archery Horizons Inc., contained a mercury-filled capsule. However, these models are apparently no longer manufactured or available for sale in the U.S. The Interstate Mercury Education and Reduction Clearinghouse (IMERC) has attempted to contact Archery Horizons, Inc. in order to certify that they no longer manufacture any mercury-added products. However, the company is no longer at the address originally listed in IMERC's mailing list, and their telephone number is disconnected. There is no company website and no other information online. IMERC suspects that this company is no longer in business. 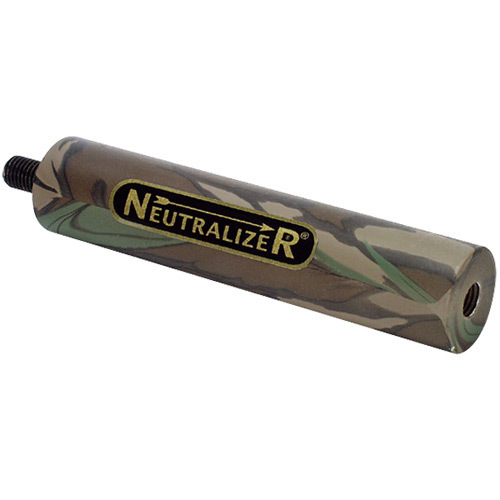 No other manufacturers of mercury-added archery bow stabilizers have been identified. Description: An artificial horizon is a tool that is sometimes used in navigation on the sea or the land in conjunction with a regular sextant. The sextant has a split image and views two objects at the same time to measure the angle between them. The two objects are the horizon and a star. When navigating at sea, the visible horizon serves as an astronomical horizon, but this is usually not the case on land. When the sea horizon is not visible from the ship, such as in rain, fog, and moonless nights, or when surveying on land that is surrounded by trees or buildings, it is necessary to use an artificial horizon. 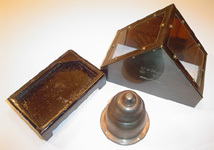 An artificial horizon consists of a fluid-filled box or tray with a tent-shaped glass cover that is placed over it to protect the fluid from disturbance. The fluid may be water, oil, molasses, or mercury. The fluid acts as a level mirror so that the angle can be measured between the star and its image reflected in the artificial horizon. These reflective artificial horizons date back to the 1730s, and the design concept is still used today - although not with mercury. Today’s artificial horizons contain water or oil and are used mainly for sports and recreational purposes. Purpose of the Mercury: Mercury was sometimes used as the fluid in artificial horizons because mercury is highly reflective and quickly assumes a level position when poured into the tray. The navigator selects a star in the sky and locates its position reflected in the mercury surface. Then he/she measures the angle between the actual star position and the reflected image in the mercury. The result is divided by two and that gives the value corresponding to the star's elevation above the horizon. This information is used to calculate a ship’s location on a nautical chart. Potential Hazards: Artificial horizons have a removable glass cover. A mercury release may occur if the cover is removed or if the glass breaks. If a leak or break occurs, persons should immediately contact their state environmental agency for instructions on proper clean-up and disposal. They should contact their public health department or poison control center if they have been exposed to the mercury. Recycling/Disposal: Items that contain liquid elemental mercury should be properly disposed of as hazardous waste. Many states offer household hazardous waste collection programs for recycling and disposal of mercury waste. Some states and municipalities provide this service free of charge, while others require a small fee. Persons should first check with their local municipality to find out about the specific recycling and disposal options (including which products are accepted). The mercury is collected and sent to a mercury recycler for reclamation. Some antique dealers will purchase artificial horizons to restore and refurbish and offer them for re-sale. The likelihood of these items still containing elemental mercury is slim as they are often sold without liquid. Statutes and Other Information: Research indicates that artificial horizon instruments are no longer manufactured with mercury; new artificial horizons generally contain water or oil or are sold without liquid so that the customer may choose their own. 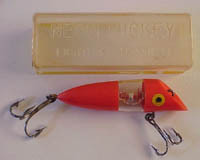 Mercury Minnow: This minnow-shaped lure was manufactured by the Mercoy Tackle Company (located in Michigan) in the 1940's. The rolling of the mercury inside the lure kept the lure off-center, simulating the erratic swimming action of a live minnow. Mercury Worm: This worm-shaped lure, made of a plastic propeller and plastic skirt, was manufactured in a variety of colors by the Mercury Worm Lure Co. (located in Texas and Indiana) in the mid-1950s. As this lure was cast the blob of mercury inside the clear section would resemble something alive inside of a clear bubble and its movement would cause the lure to wiggle, dive, and dart on the retrieve. 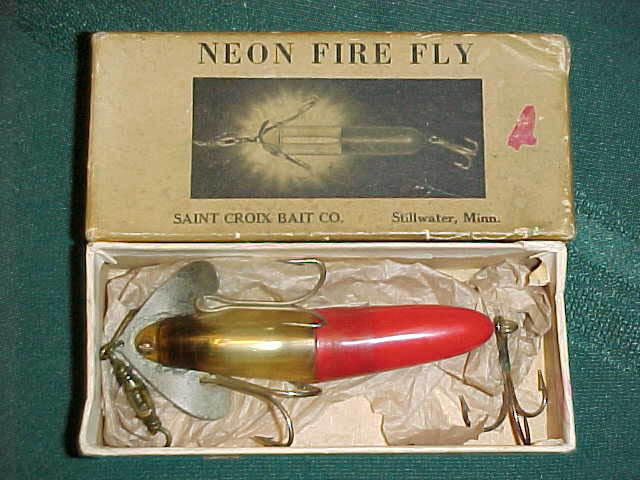 Neon Firefly: This firefly lure was manufactured by the St. Croix Bait Co. (located in Minnesota) in the late 1920s and early 1930s. The clear nose of the lure was filled with about two ounces of liquid mercury, which makes the lure glow underwater. 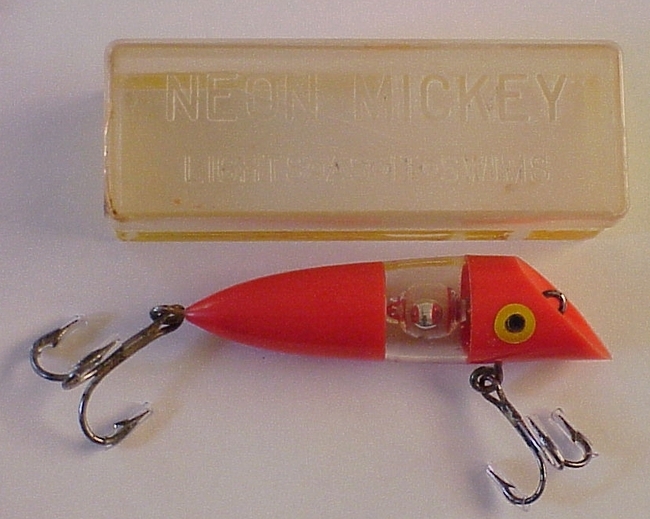 Neon Mickey: This lure, manufactured by Neon Mickey Bait Company (located in Oregon) in the mid-1950s, consisted of a glass vial of mercury in clear plastic section of the lure and was filled with Neon gas that actually lit up when the lure wiggled. Purpose of the Mercury: The mercury added to fishing lures was mainly used to simulate the movement of live bait as a way to better attract the fish - as the mercury moved inside the lure, the lure would move under the water, appearing to the fish as if it were alive. 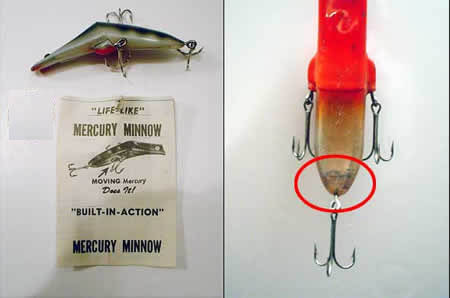 The mercury was placed inside the hollow lure and depending on the shape/style of the lure the mercury could also be seen through the clear plastic. Not only would the movement of the mercury attract fish as it rolled around inside the hollow lure, but the shiny, silver appearance of the mercury underwater would also attract them. Potential Hazards: Antique fishing lures become more fragile as they age. A mercury release may occur if the plastic lure breaks. If a leak or break occurs, persons should immediately contact their state environmental agency for instructions on proper clean-up and disposal. They should contact their public health department or poison control center if they have been exposed to the mercury. Recycling/Disposal: Many states offer household hazardous waste collection programs for recycling and disposal of mercury-containing items, including fishing lures and tackle. Some states and municipalities provide this service free of charge, while others require a small fee. Persons should first check with their local municipality to find out about the specific recycling and disposal options (including which products are accepted). The mercury fishing lures will be sent to a mercury recycler for reclamation. 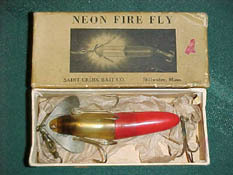 Some fishing enthusiasts consider these mercury-containing lures to be a valuable collector's item, since they are old and rare. Therefore, persons may buy, sell, and trade these lures (and other antique fishing items). Statutes and Other Information: Mercury-containing fishing lures are no longer manufactured or sold in the U.S. 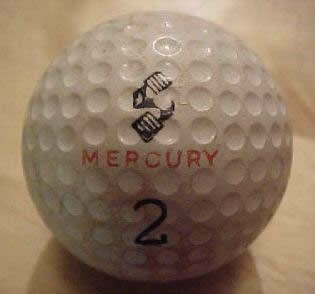 Description: There is some anecdotal evidence that mercury was used in golf balls. Research indicates that some companies in the U.S. and in Europe experimented with mercury-filled golf ball cores in the early-mid 1900s. Modern golf balls now consist of a rubber-core and must be tested and approved for use in professional tournaments by the Royal and Ancient Golf Club of St. Andrews (R&A) and the United States Golf Association (USGA). Purpose of the Mercury: The idea of using mercury as the core material for golf balls arose from the notion that the weight of the mercury inside the golf ball would help it travel a longer distance. Potential Hazards: The mercury in one of the old golf balls would be securely contained in the ball's core, and there would be a low probability of a mercury release. Recycling/Disposal: Many states offer household hazardous waste collection programs for recycling and disposal of mercury-containing items, including sporting equipment. Some states and municipalities provide this service free of charge, while others require a small fee. Persons should first check with their local municipality to find out about the specific recycling and disposal options (including which products are accepted). The mercury golf balls collected are sent to a mercury recycler for reclamation. Statutes and Other Information: Mercury-containing golf balls are no longer manufactured or sold in the U.S. or abroad. In 1921, the R&A and the USGA standardized the size and weight of golf balls. Mercury-filled golf balls (although still used for leisure until the 1940s) would not be permitted for tournaments.